Common Question: What’s the Deal with the Apocrypha? 66 books. That’s how many books are in the Good Book. At least, that’s what I had always been taught. But then, a Roman Catholic friend of mine in high school claimed there was more to the Bible than the 66 books I had read since I was a little boy. There were actually 73 books, he explained. And these additional books had strange names like “Maccabees” and “Judith” and “Tobit” and even “Bel and the Dragon.” As he showed me these books, I was flummoxed. “Why hadn’t I ever heard of these books?” I asked myself. Because the Apocrypha is a source of a lot of confusion, I thought it would be worth it to offer a brief history of these books along with an analysis of them from a Lutheran Christian perspective. The books of the Apocrypha were written between the close of the Old Testament in 430 BC and the beginning of the New Testament. These books include historical accounts, supplements to famous Old Testament books such as Daniel and Esther, and wisdom books akin to the Proverbs. Early on … churchmen such as Origen of Alexandria noted a difference between the Apocrypha and the Hebrew Scriptures. Cyril of Jerusalem and Jerome also drew a line of separation between the two, using the term Apocrypha for the first time in reference to these writings. To be sure, Jerome included them in his Latin translation if the Bible, the Vulgate, but advised that the Apocrypha should be read for edification, not for supporting church dogma. All who die in God’s grace and friendship, but still imperfectly purified, are indeed assured of their eternal salvation; but after death the undergo purification, so as to achieve the holiness necessary to enter the joy of heaven. The Church gives the name Purgatory to this final purification of the elect. This teaching runs contrary both to the broad teaching of canonical Scripture, which declares that a person enters either paradise or hell immediately upon death (e.g., Luke 16:19-31; 23:39-43), and to the gospel, because it adds to Christ’s perfectly purifying work on the cross our own work of purification in Purgatory by which we may “achieve the holiness necessary to enter the joy of heaven.” By adding our achievements to Christ’s achievement, the doctrine of Purgatory belittles and undermines the sufficiency of Christ’s sacrifice. Thus, the universal Church does not treat the Apocrypha as divinely inspired. But if any one receive not, as sacred and canonical, the said books entire with all their parts, as they have been used to be read in the Catholic Church, and as they are contained in the old Latin Vulgate edition; and knowingly and deliberately contemn the traditions aforesaid; let him be anathema. 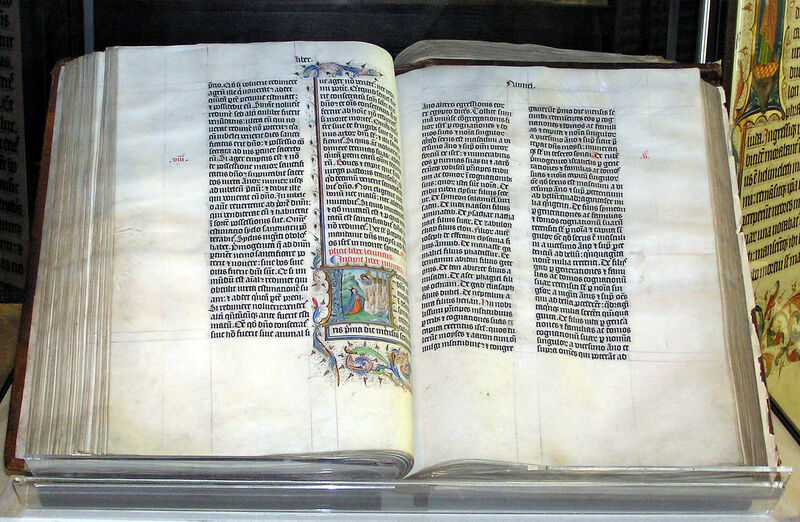 With this decree, the Roman Catholic Church effectively erased the distinction between ancient books that should be read for private edification and inspired books that should be appealed to for Christian doctrine – a distinction that Jerome, the very one who translated the Latin Vulgate, which Rome was here declaring to be its official translation, had made! Thus, Rome took Jerome’s translation, but disregarded his distinction. And the Church has been the worse for it over the years. If you’re looking for a good book, then, pick up the Apocrypha. If you’re looking for a divinely inspired book, however – that book still has only 66 books. Paul Maier, “Foreword,” The Apocrypha: The Lutheran Edition with Notes (St. Louis: Concordia Publishing House, 2012), xv-xvi. See Catechism of the Catholic Church (Collegeville: The Liturgical Press, 1994), §1030-1031. The Fourth Session of the Council of Trent (April 1546). Martin Luther, What Luther Says, Ewald M. Plass, ed. (St. Louis: Concordia Publishing House, 1959), 1512, n. 20. Entry filed under: Common Questions. Tags: 66 Books, Apocrypha, Canon, Christ, Christianity, Church, Gospel, Intertestamental, Lutheran, Paul Maier, Purgatory, Roman Catholic Church.